Above: Outside my father's kafeneio in Stypsi. 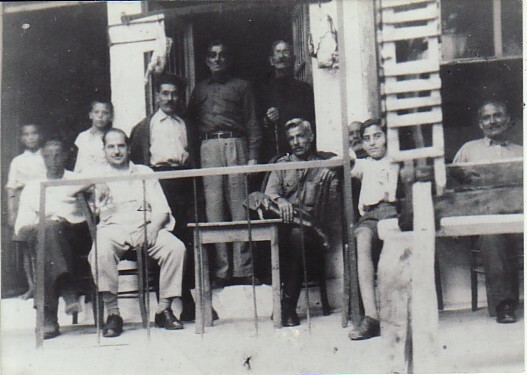 My my father, Panagiotis and I, are first and second from the right respectively. Above: On the day Efstratios Orphanides was migrating. 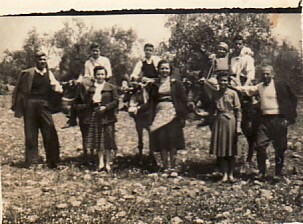 L-R: Pavlos Pavlides, Efstratios and Stavroula Konstas; Efstratios Kontsas and Maria Pavlide; myself and Efstratios Orphanides (riders); my sister, Maria; and my father, Panagiotis Kanmerokis. 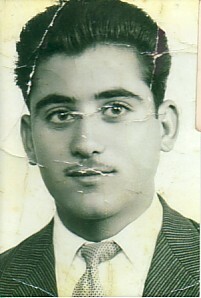 Above: In my father Panagiotis' kafeneio in Melbourne. 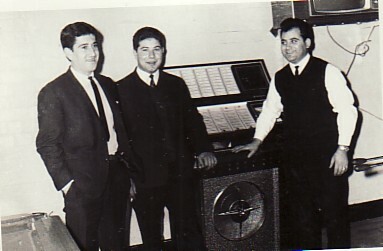 I am with Georgios Tragellis and Georgios Karabetsos. 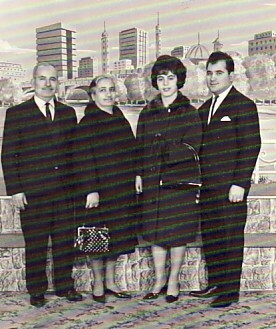 Above Right: With my parents, Panagiotis and Evangelia, and my wife, Soula. 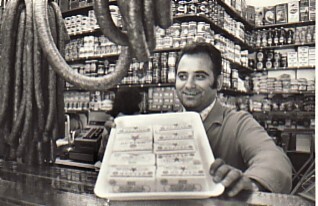 Above Right: In my family business- a delicatessen in Mooney Point Market. I was there for nine years.